Let us help you create a custom outdoor living space! Services we offer include installing brick pavers, retaining walls, fire pits, planters and custom seats. 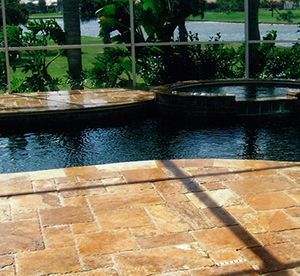 We also clean and seal pavers and travertine. 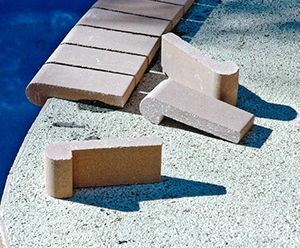 As a State Licensed Contractor, and a Certified Swimming Pool Decking Specialty Contractor, you can rest assured that your job will be done professionally. We offer much more than your typical paver installation company, and we are dedicated to offering the highest quality services. Paver Mac is brought to you by A.M. Enterprises, your home improvements Specialists. For over 20 years we have been in the construction and home improvement business. Our goal is to provide custom designs at an affordable price, and superior customer service. The owner oversees every job with a supervisor for each crew so you never have to wonder who will be on the jobsite. We respect your property and make sure the job site is cleaned up daily. Our workers are trustworthy, respectful and courteous.